Let me recap prior articles on the new immigration law and then add the latest information emerging. Temporary Resident - a stay of one year: Renewable = income requirement is approximately $1,900 USD per month. No word if this is per couple or per individual. I suspect this will be for a couple, but we’re not sure yet. See more below on this. worth and monthly income, but we’ll have to wait to see. Permanent Resident: Approximate income requirement jumps to $2400 USD per month. Proof of sufficient personal investments calculated over the prior year is acceptable for this status. (Approximately $120,000 USD). If you already have what we call an FM 2 or FM 3 resident permit you will not have to leave Mexico and apply for the new status once your current permit expires. You can do that here at Lake Chapala, and even better you will NOT have to meet the new income requirements. If you're applying as a new resident more good news is that (if I understand what I've read correctly) that one spouse can use his/her spouse's income or assets to help you qualify to meet the financial requirements. No need to have a temporary resident permit before applying for a permanet resient permit. My advice would be to choose the maximum number of years possible under the new law if you only qualify for a Temporary Resident Permit because once it expires you must exit Mexico and apply at a Mexican Consulate in the USA or Canada. There's no limit on the number of times you can do this. need your deed and proof of property taxes paid. to the processing center where you submitted your original paper work. There's already a significant backlog. aware of corrections, changes, and updates. International Living has been touting Ecuador as “the” place to retire. No. 1 of 22 places, with Mexico listed as #4. I was contemplating just a visit there to see what it is like but on further research, I think I would RUN the other direction. Mexico is by far the better, safer, not to mention closer to the part of the USA I’m from. Having spent a year in Mexico previously and loved it, I would recommend it any day. Sid, are there different immigration laws for those married to a Mexican Citizen? National is that you can cut the time down it takes to become a Mexican Citizen. The last I knew it could be cut from 4 years full time in Mexico to 2 years. 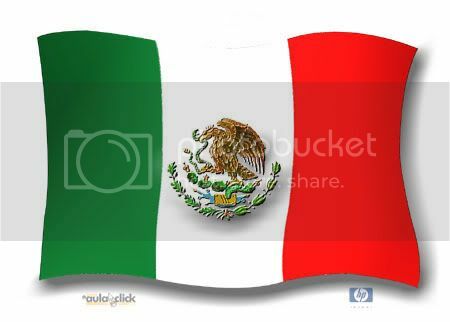 I am one of many , I am sure, who have just received Permanent Resident Visa….Now…..
their foreign plated cars from Mexico.